We have spoken before about what to look for when choosing your accounting software; but let’s take that one step further and look at what you should be looking for in a vendor. Here are a few tips on things to look out for when selecting a vendor. The vendors should include all costs transparently in the initial quote, so that you are not blindsided by sudden additional amounts for experts needed for implementation and integration, training, monthly support, call out costs or upgrades, to name just a few. When evaluating your Total Cost of Ownership, you need to look beyond your initial financial outlay and add any ongoing costs over a set period of time, say five years. A solid vendor will have an extensive list of case studies and client references readily available. Ideally, you should look for references from people in your industry or similar, so that you can get a fuller picture of how the software – and the vendor – might work for your business. Although praise for the software is important, that should be your minimum expectation; you need to know how the clients feel about working with the people that make up that organisation. When you are dealing with specialised software, as is the case with financial software, should you go with the big name brand or the smaller niche brand? Well, would you rather have access to a general sales person or the owner of the business? A smaller vendor is also likely to have a deeper understanding of and interest in your individual needs. You need to find the balance between their being big enough and having been around long enough to give you the security of an established, secure company, but small enough that you can still talk directly to the boss. Even the most user-friendly software will require some element of training and support. Ensure the vendor you choose offers full training and ongoing support from specialised qualified staff. If your financial software is designed to be used by non-financial users, you want to ensure that your supplier will take the time to train your people to make the most of the system. 5. Do they have a plan for the future? Does the vendor have a development plan for their software or will you have to replace the whole kit and caboodle in a few years? Do they work with a client driven development mindset or do they just add features they think will be interesting to design or develop? Knowing that you are making a long term investment in something that has a long term future and that you could contribute to and be a part of can make your investment a deeper proposition than just another product purchase. The best software won’t get you very far without the right relationship with your vendor, and those relationships can only be built if you know who you’re dealing with. 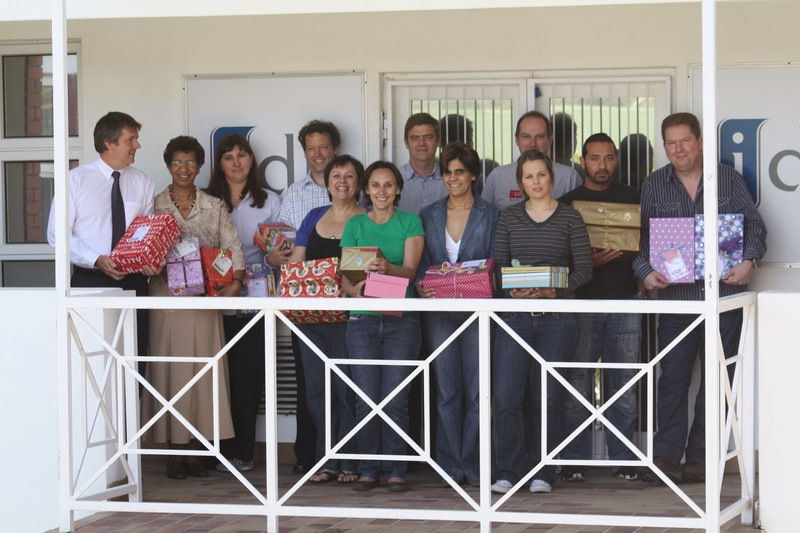 idu supports the Santa Shoebox Project, do you? The Santa Shoebox Project is a wonderful cause that the idu team has supported annually over the past four years. Started in our home town of Cape Town, the Project began by collecting 180 shoeboxes for children in orphanages, children’s homes and care centres locally; by 2013 the project had collected 118 274 shoeboxes to be distributed to over 1000 facilities across South Africa and Namibia. What makes the project so special is that you can choose the name, age and gender of the child you are creating the shoebox for, adding a very personal touch. We enjoy being able to choose the children we are donating to and putting together boxes especially for those children; our team members choose the children and create their own shoeboxes and we donate them as a company. We have donated a total of 111 shoeboxes since 2011. This year, the project has extended its reach by creating additional channels for involvement. There is the option of donating a Virtual Box online for donors who don't live close to any of the drop-off zones. The virtual boxes will be put together by Checkers who will pass them to the Santa Shoebox team to take care of delivery. There is also the option to donate Proudly South African raincoats to children who live in high winter rainfall areas, to keep them dry on their way to school every day. Corporate clients and other sponsors can also make financial donations to the new Santa Shoebox Legacy fund that will provide additional support to children’s facilities in the form of financing and introducing a new skill every year to build and uplift communities across South Africa. There are only 2 weeks left before the cut off for Santa Shoeboxes and thus far only 90% of the boxes have been pledged, so you and your organisation can still use one of these channels to bring some magic into the lives of these children and their communities. Invite all your Facebook friends - also those living abroad and out of town as there are still many Virtual Boxes available - especially for them. All Virtual Boxes are earmarked for farm schools in rural areas. Download the supporter logo and e-signature from the Handy Downloads page on the SSB Facebook page and include on your website and email. Mention Santa Shoebox on your blog. Mention Santa Shoebox to your HR Department as a worthwhile CSI initiative. You can also volunteer to work at one of the drop off points, particularly at the Santa’s Workshop drop off at the CTICC. 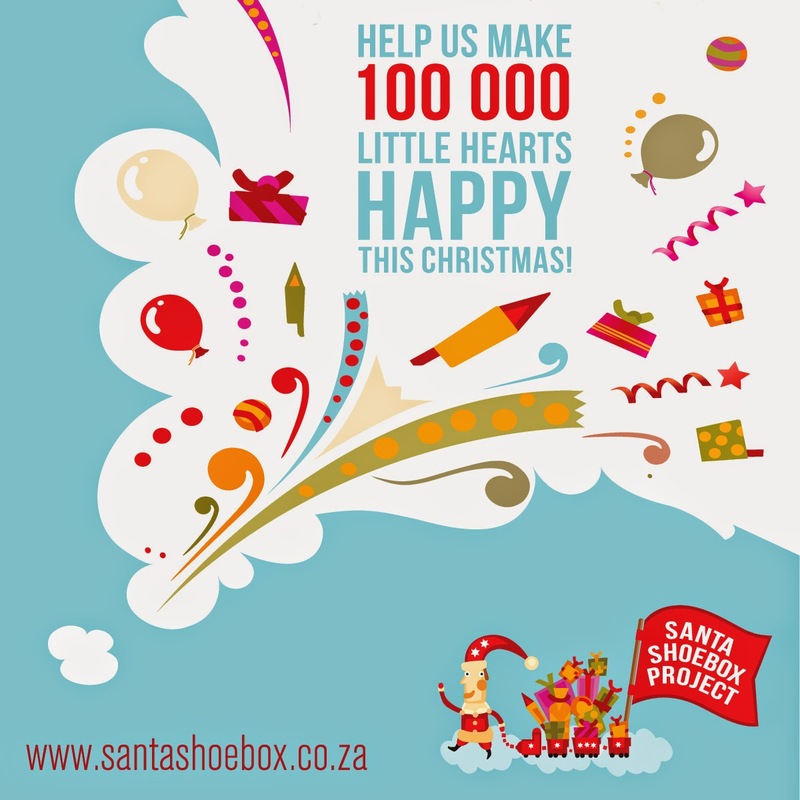 You can register through the website or mail volunteers@santashoebox.co.za. Get involved and help make a difference! Earlier this year, we introduced the new and improved Version 5 of our flagship product idu-Concept at our idu User Conference and we have been beta testing it at a client site for the last couple of months. Technology has developed substantially over the past 10 years and we wanted to bring our software in line with the user requirements of today to make budgeting, forecasting and reporting even quicker and easier than before. At the heart of it, our software has remained true to its core objective, providing a user-friendly Financial Budgeting, Forecasting and Reporting tool to both financial and non-financial managers. Version 5 is sporting a fresh new look, with the user interface being completely redesigned to enhance the user experience both visually and technically, allowing better multi-tasking and time savings. Building on the power of Version 4’s Bulk Edit screens, Version 5 provides rapid budget capture screens in all budget types. With in-line editing dramatically speeding up the budget capture process and expandable /collapsible columns allowing you to easily compare data, the end-user is empowered. Budget capture screens also now feature auto save functionality, so you no longer need to hit the Save button, meaning no risk of losing unsaved changes; if Eskom kills your power halfway through your job, your work will still be there when it comes back up. An extremely valuable addition is the ability to upload supporting documentation at every step of the budget process, allowing the provision of full motivation for budgeted values. With Standard, Itemised, Allocation, Grade Remuneration and CAPEX (Depreciation) budget types all featuring export / import functionality, working off line has never been easier. You can now export data to excel, update the budget figures, and re-import it into the system once you are ready. The file format for importing data has been updated to .xlsx from .csv. What this means to you is no more dropped leading zeros, no more duplication and import functionality that was impossible using .csv files. In our continued spirit of empowering all users of the system, the Admin module has brand new features, making system administration that much easier. Watch our blog over the next few months as we delve a little deeper into these great new features and others available in idu-Concept Version 5.